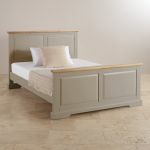 The St Ives king-size grey bed will form the centrepiece of your bedroom. 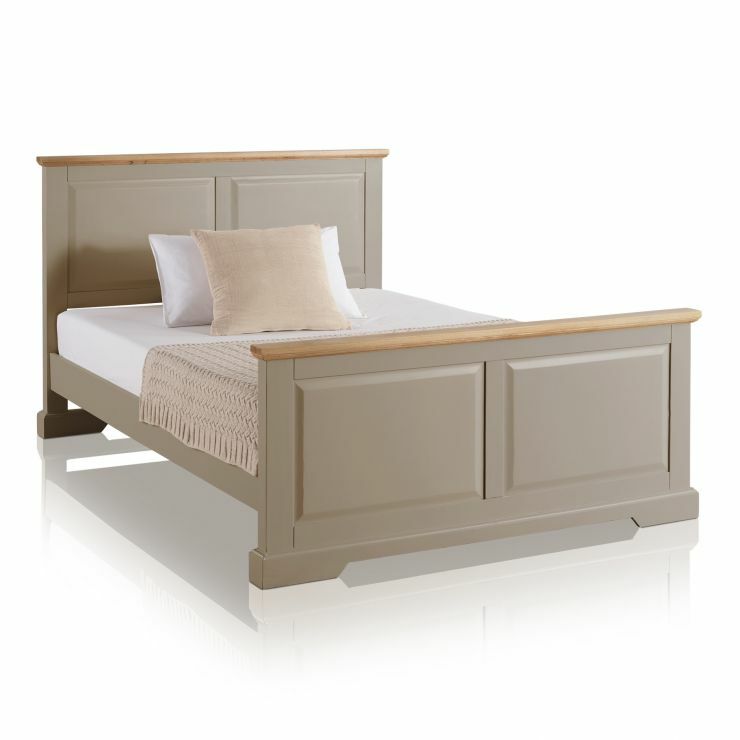 Made from hardwood throughout, this grey bed is not only designed to impress, it's also built to last. 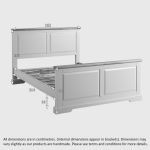 The hardwood base is slatted to allow air to circulate to the mattress. 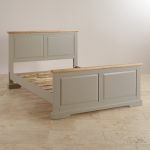 The bracket feet add to the comforting solidity of the range, and the elegant, light grey finish of the headboard and footboard give a modern look. Why not plan the interior of your room around the bed? 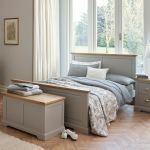 Look through the St Ives collection and see how the bedside tables, chests of drawers and dressing table sets are all made to match in your bedroom. If you’re planning a new mattress to go with your stunning new grey bed, we also have a wide range at Oak Furniture Land.